Preschool South Bend: Breakfast Ideas For Preschoolers! Your child’s preschool day starts before they even get there, and getting enough sleep and having a good breakfast can set them up for a successful day. This is sometimes easier said than done, and some picky preschoolers seem to not want to eat anything (or anything healthy!) in the morning. We will explore some ideas for presenting your preschooler with nutritious and appealing breakfasts that will get their day started off strong! Sometimes kids just don’t really like to eat anything in the morning. 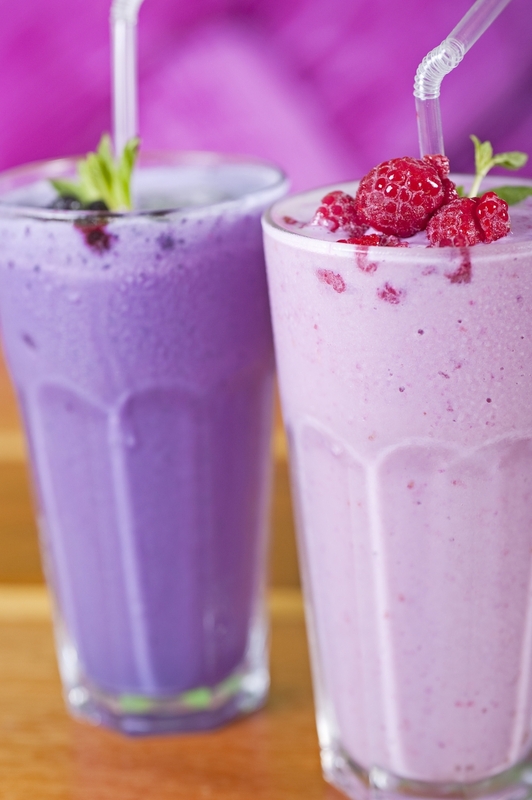 Sneak some nutrition in with a power-packed smoothie before they start their school day. Many things can be hidden in a smoothie that your child would never eat on their own, including spinach, carrots, nuts, and seeds! When these ingredients are blended up many of the tastes and textures are obscured, and the sweet taste of fruits and yogurt shine through. Banana provides a great healthy sweet base for your smoothies, and any fruits you use (or veggies) will change the color of your smoothie. Does your child love pink? A strawberry and yogurt smoothie can give a boost of protein with a beautiful pink hue. Is green the favorite color of the week? Spinach blended in turns your smoothie a vibrant green, but your child will never taste the hidden veggies. A smoothie is a great preschool breakfast, especially if your kiddo doesn’t like to eat fruits and veggies whole. Muffins are something most preschoolers love, and a lifesaver for busy moms and dads. Make them ahead of time and freeze for easy, fuss-free mornings—plus they are great on the go! Muffins are another great place for sneaking in fruits, veggies, nuts, and seeds, and many kids love anything baked into these tasty little cakes. Blueberry muffins are always winners, and even carrot “cake” muffins made with applesauce and cream cheese “frosting” can be healthy while appealing to a little sweet tooth. Muffins also are good because of their small portion size, making them great for small tummies. No, we’re not talking about ice cream, but having a faux sundae can get a picky eater to enjoy something that looks like a dessert. Use full-fat yogurt as your ice cream, and let your child pick the toppings they love the most! Layering berries, granola, and honey in a clear parfait glass makes this breakfast visually appealing and can tempt even a stubborn breakfast eater. This breakfast is so easy, your kiddo can probably make it themselves—this makes it even more likely they will enjoy it! 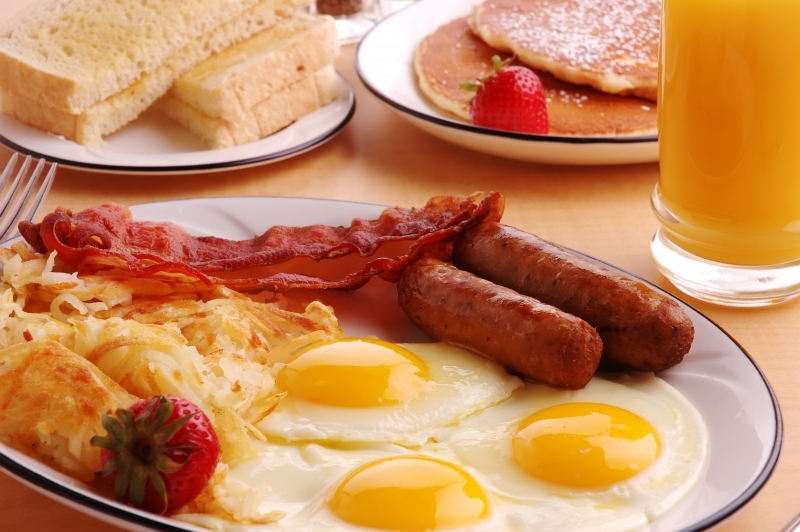 Okay, this suggestion is not for your die-hard breakfast food lovers. But kids love soup, and soup is an easy way to pack in the veggies. A warm tomato soup on a cold winter day will wake them up in the best way. On a hot summer morning a cold gazpacho soup can give nutrition and be refreshing. If your little ones would rather have soup than eggs, let them! The most important thing is that they get good nutrition in their bellies before school! Set your child up for preschool success with a great nutritious breakfast! If you are looking for a preschool where your little one can grow, learn, and play, Growing Kids Learning Center has locations in South Bend, Chesterton, Elkhart, and Goshen—contact us today!